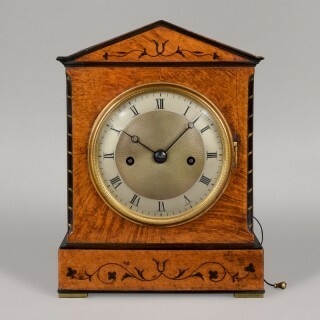 A fine English Regency period satinwood and ebony inlaid architectural mantel clock, the 8-day movement with hour strike and repeat on a bell. 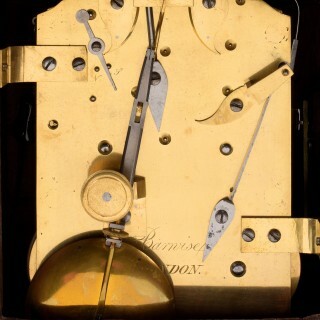 The maker’s name, Barwise LONDON, is signed on the backplate. BARWISE. A FINE REGENCY PERIOD ARCHITECTURAL STRIKING MANTEL CLOCK.